We could really spend weeks on this topic, but this week, we will be featuring dairy products: milk, cheese, yogurt, and eggs. Fresh eggs are one of my absolute favorite things to get at the farmer's market. They are delicious and just by the color of the yolk, you can see how nutrient-rich they are. Knowing the grower's and knowing how the chickens are raised ensures a wonderful quality of eggs. 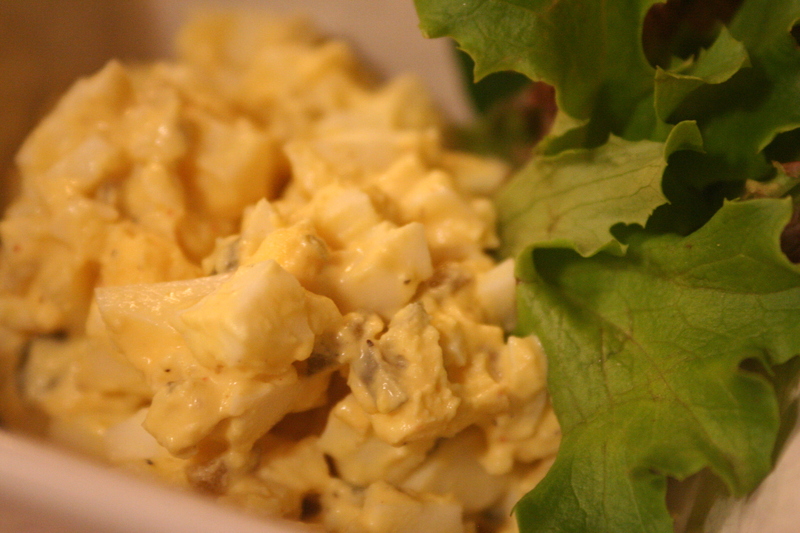 Egg Salad is a great way use eggs. 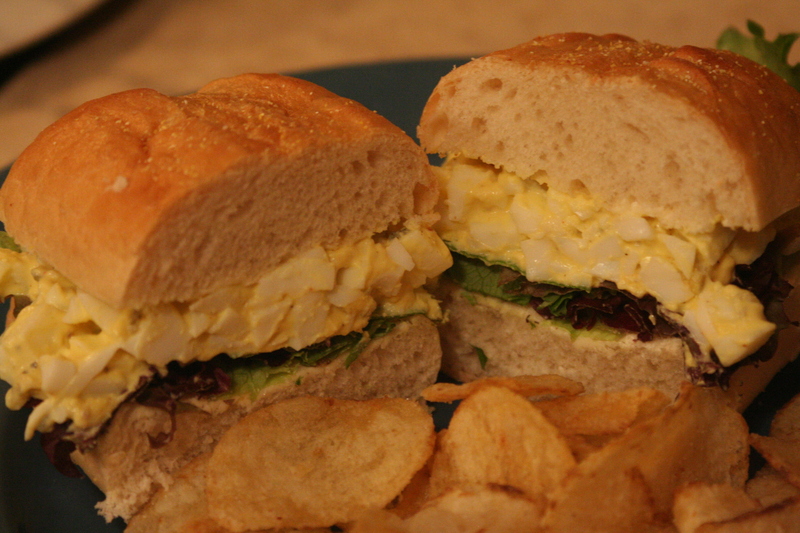 It's easy and makes a beautiful sandwich! Dice the egg. Add onion and they rest of the ingredients. Adjust seasoning to taste. Serve on a bed of lettuce or as a sandwich filling (butter bread and add lettuce if desired). 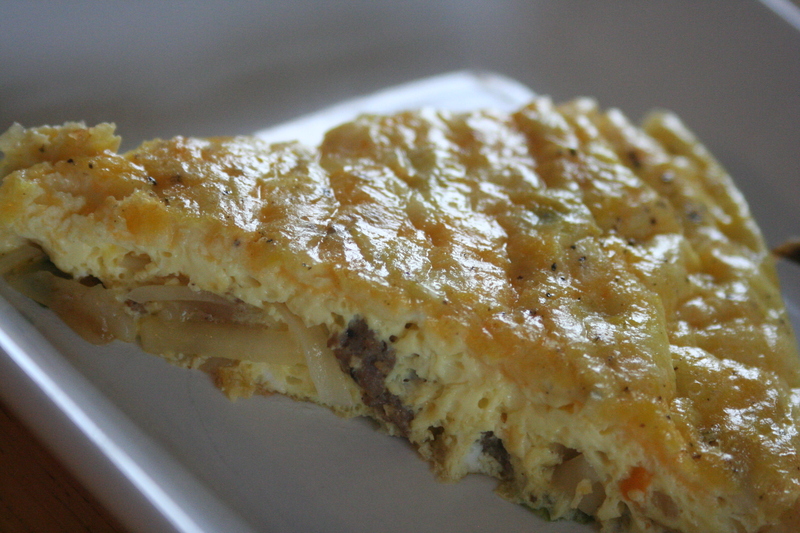 This egg dish is great for a quick meal any time of the day! You can use whatever vegetables and ingredients you have on hand - be creative! In a 10-12 inch oven-safe skillet (cast iron or any other oven safe skillet) over med.-high heat, brown sausage and drain. Saute sausage, potatoes, pepper, and onion in 2 Tb. butter until tender. Meanwhile, whisk eggs, milk, salt, & pepper in a separate bowl. Turn off heat. Spread vegetable & meat mixture evenly over the bottom of the skillet. Sprinkle half of the cheese over it. Pour eggs mixture evenly over the skillet. Sprinkle remaining cheese on top. Transfer skillet to oven and bake for 15-20 minutes or until completely set. Cut in wedges and serve hot. Makes 4-5 servings. Delicious! I'll be making the oven omelet this evening!